It is the 19th century in Southern Europe. Pandemic has gripped the Iberian peninsula – Malaria, typhus, yellow fever, and cholera are spreading fast, and it's up to you to use boats, roads, and the new railways to stop them. 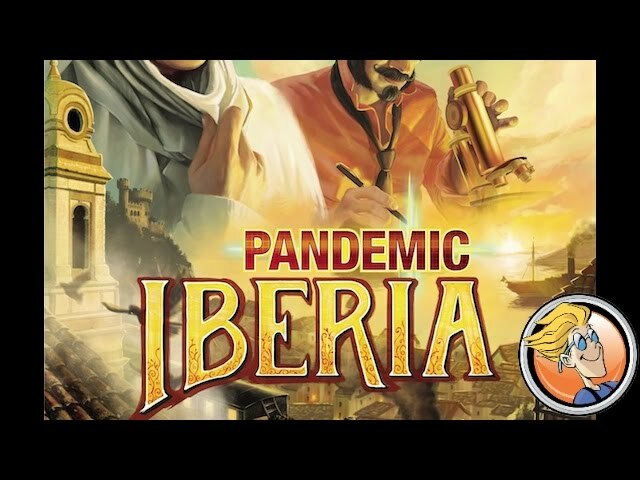 Pandemic: Iberia is a new board game which spins off the Pandemic formula, setting it ina  completely new time at a pivotal period in history – the spread of the railroad. Take control of the Nurse, The Agriculturalist, the Politician, or even the Railwayman to combat the plagues spreading across Spain and Portugal. Build track and purify water in order to speed your transport across land or slow the spread of disease. Buy Pandemic: Iberia if you want to get in on the ground floor with this classic co-operative game, or if you want a new twist on this great game.